At last, an affordable way to reload the monster 50 BMG. This kit includes everything you need to start reloading the 50 -- the Lee Classic Cast press, set of 50 BMG dies, shell holder, ram prime tool and tube of case sizing lube. 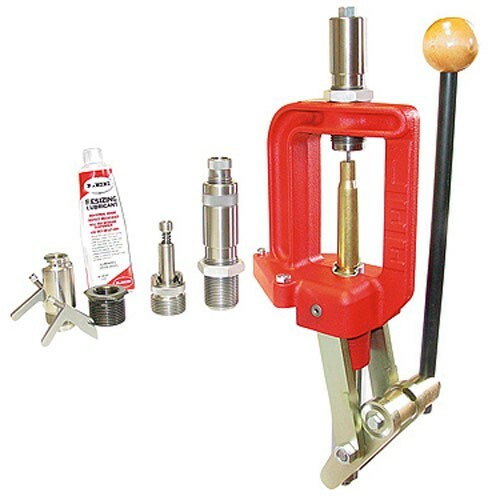 Kit also includes shell holder insert, large and small primer arms and die reducer bushing to accept standard 7/8-14 dies so you can load all your smaller cartridges. All this for less than what others charge for dies alone!